Seton Medical Center Hays, Level 5 Finish Out - Sabre Commercial, Inc.
Due to extraordinary population growth in the region, Sabre was contracted to build out the fifth floor patient tower shell space of Seton Medical Center Hays to make room for more patients in the Kyle facility. 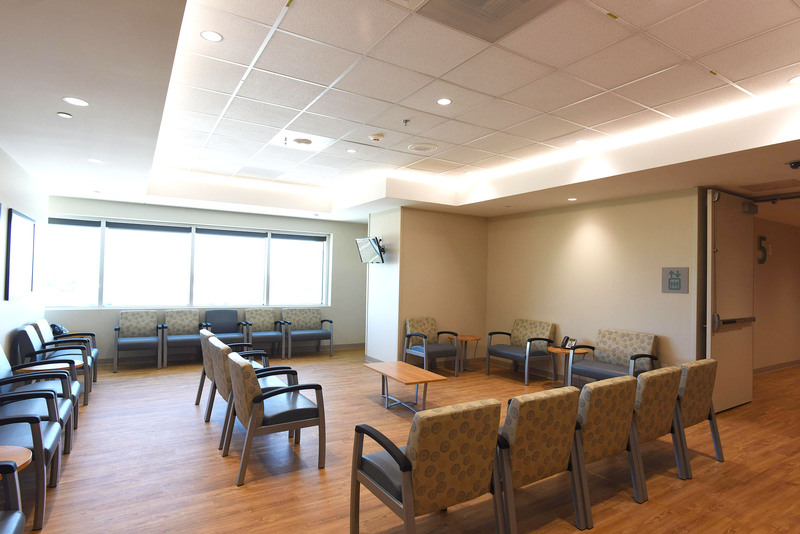 The completed project accommodates 30 more beds and up to 60 additional employees. The added space improves Seton’s capability to treat trauma, recruit physicians and features a centralized dialysis space. In order to access the fifth floor patient tower without using patient elevators, we were required to use a buck hoist (outdoor elevator) to deliver materials and workers to the jobsite.